Go on, open the door; Awa and her team look forward to meeting you. A gesture, a smile, welcome to the ibis family! The magic starts before you even get to Disneyland® Paris! The 3-star ibis Marne-La-Vallée Val d'Europe hotel is located near Val d'Europe RER A station (exit 2) and 5 minutes from Marne-La-Vallée Chessy TGV train station. Located 20 miles (32 km) from Paris and 1 hour from Paris' airports, you can get to the ibis Marne-La-Vallée Val d'Europe hotel by taking the A4 highway. This hotel has 100 rooms, free WIFI, a restaurant, a bar and a private car park (charges apply). Come and enjoy a pleasant stay with us! 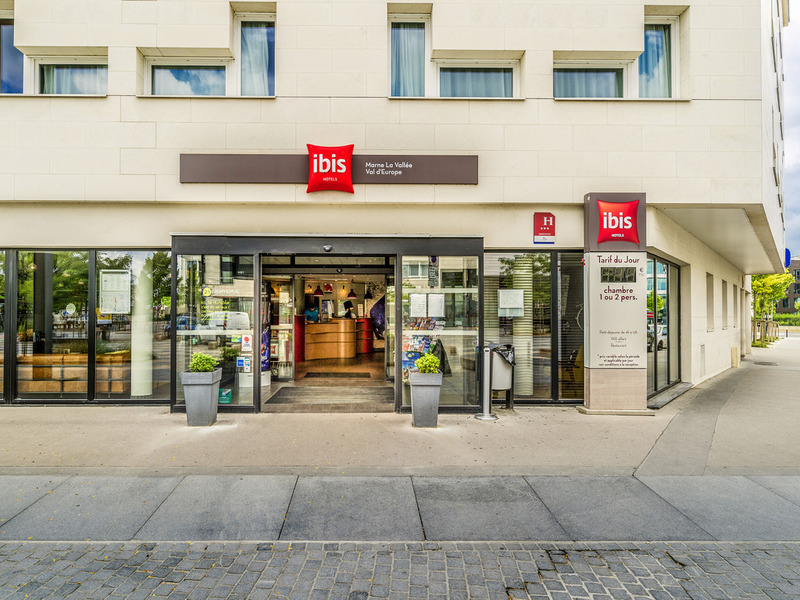 The ibis Marne-la-Vallée Val d'Europe de Montévrain hotel is 10 minutes' walk from the Sea Life Paris aquarium and La Vallée Village outlet shopping center. Disneyland® Paris is just 5 minutes away (1 stop on the RER). Our madeleine at breakfast... Yum... so tasty!